He moved to St. Cloud, Minnesota in 1963. He was a youth coach for five different sports; wrestling, track and field, cross-country, football, and soccer. He was diagnosed with brain cancer in January 2011. He died at home in St. Cloud, Minnesota. Session Notes: Kay Ek ran as an unsuccessful write-in candidate against Larry Haws garnering 26.2 percent of the vote. Aeikens, Dave and Mark Sommerhauser. 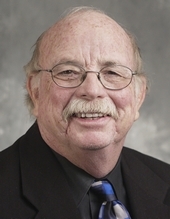 "Longtime Civic Leader Larry Haws Dies (Obituary)." St. Cloud Times, March 28, 2012. Radomski, Lauren. "Retiring from Public Service - Again: After Helping Others for 48 Years, Haws to Focus on Family Needs." Session Weekly, St. Paul: Minnesota House of Representatives Information Office, June 1, 2010, p. 40. Schutz, Lee Ann. "Preparing for Vet's Return: Provisions Framed to Make Minnesota a 'Veteran-Friendly State'." Session Weekly, St. Paul: Minnesota House of Representatives Information Office, April 13, 2007, p. 3. Cook, Mike. "Never Slowing Down: Newst Member Has Wealth of Experience." Session Weekly, St. Paul: Minnesota House of Representatives Information Office, March 3, 2006, p. 10.